Smoothies are all the rage now and with good reason. Instead of drinking empty calories and highly processed milk products, that are basically dead food, leaving you hungry and lethargic, smoothies can offer digestive enzymes, antioxidants, vitamins and minerals that fill you with whole food, rib sticking satisfaction and energy. 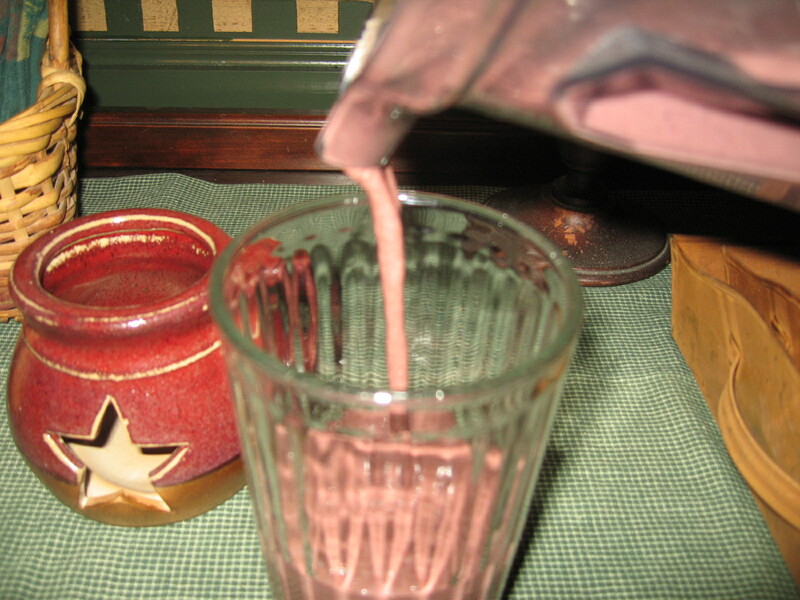 1 cup homemade cultured yogurt (from raw milk) or organic store variety like Stoneyfield. If you dare, add a raw free range egg. 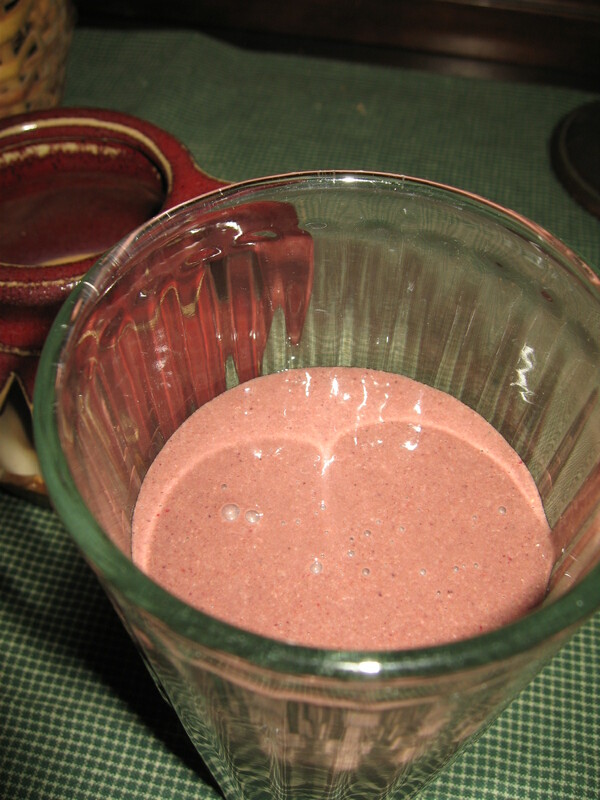 Mix well in blender starting with fruit (whole greens if you're using them) and yogurt, then add other ingredients. Or, here's a breakfast that will stick to your ribs all morning. Add a glass of greens and a cup of fair trade coffee with 2 TBSP coconut oil for a great start to your day. Hearth and Soul Hop-Volume 33! That is one nutritious smoothie! This is a great recipe for a smoothie.I came across your site from the foodieblogroll and I'd love to guide Foodista readers to your site. I hope you could add this kefir widget at the end of this post so we could add you in our list of food bloggers who blogged about kefir,Thanks! Thanks, Alisa! I've added the widget. 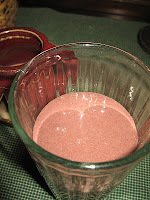 I have a few other posts about kefir, too. Should I add it there as well? I'm going to check out your site now. Hey, Alex. Nice to hear from you again! Thanks! I'll check it out. Been trying to make some improvements here. Finally made a button just for the blog hop. You might find it interesting. I haven't had any experience with them but I've read about other milks working well with the cultures. Like coconut. But, unfortunately, I can't tell you off the top of my head where I read it. I would just love this and can see how it would be rib sticking. Its a real good for you drink. Thank you so much for sharing with Full Plate Thursday and please come back! This looks fantastic! I love recipes like this. I'll send this to my daughter-in-law! Good and good for you! This sounds like a great way to start the day! Thank you for sharing your delicious and healthy smoothie with Let's Do Brunch. I love this recipe and I love your blog. This is the kind of blog, one has to stay and visit for a while, to appreciate all it has to offer. This drink is a featured recipe, this week, at Let's Do Brunch. Please come on over and visit.